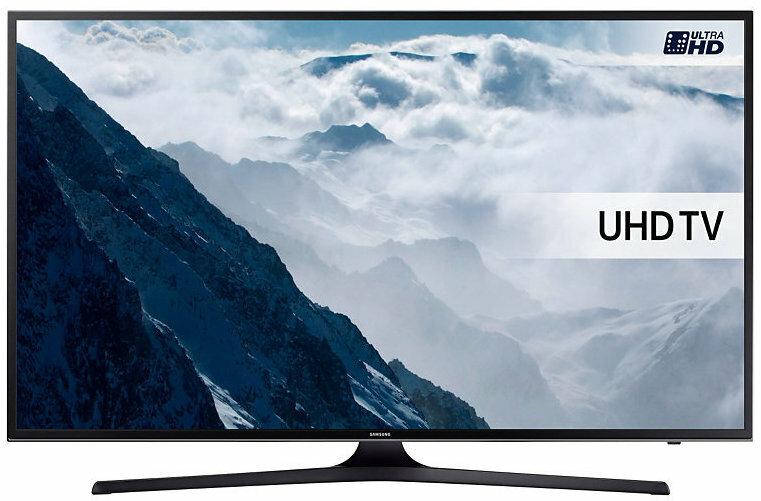 In a nutshell: The Samsung UE40KU6000 is a top value 40-inch UHD (4K) TV. Sitting at the bottom of Samsung's Series 6 televisions, this is a very good entry-level model, with high picture quality, although motion can be a bit judddery. Smart TV functions are excellent, and the set looks good too. Samsung is getting the design and looks of its 2016 TV range just right, and this budget model, which sits at the very bottom of the ever-popular Series 6 range, has just the right looks. This is an entry-level model, so we're not expecting brushed steel. Instead we get a black plastic bezel and matching Y-shaped stand, but it's still a very stylish look. The stand is very solidly built too, and offers robust support for the screen, which is something we can't say about many of the more expensive TVs we've tested this year. So top marks for design! The TV comes with a standard remote control. The KU6000 sits right at the bottom end of the Series 6 mid-range models, but even so it comes with a lot of high-end features. It's a UHD screen, capable of displaying 4K content, and is even compatible with new High Dynamic Range (HDR) standard. This means that it can read the extra information encoded in HDR source material, relating to bright highlights within each scene. To be honest, on a 40-inch screen, it's hard to tell the difference between 4K and 1080p HD. But since Samsung is giving us this feature on such a cheap model, we'll gladly accept it. Whether you're viewing 1080p or 4K Blu-Rays, this TV delivers pin-sharp images, and the upscaling of DVDs or standard definition broadcast material works very well too. What particularly impresses us about this model is its ability to show a huge amount of shadow detail. 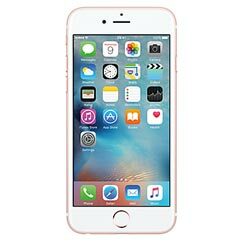 The dynamic range of the screen is very impressive, and it outperforms many of the more expensive models available from other manufacturers. Less impressive is motion clarity. The screen uses Samsung's Auto motion Plus system to produce an effective motion rate of 120Hz, but it's not a fast screen, and in sport or movies, a little motion judder is noticeable. Another issue with the screen is that the viewing angles are limited, so if you sit off-centre, you'll notice that the picture greys-out. 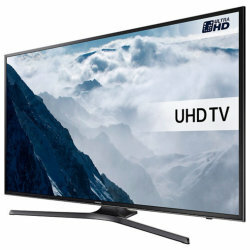 Nevertheless, for a TV at this price, we think the picture quality is actually very good. The sound system on the 40KU6000 is typical of low- to mid-range TVs. 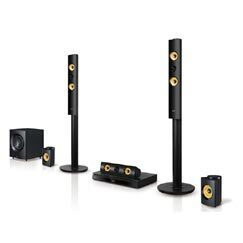 Stereo speakers, each rated at 10W RMS power reproduce mid-range frequencies well enough, but miss out on bass. The result is that dialogue in news, soaps and dramas is clear enough, but the oomph we demand from movies and football just isn't there. Samsung has updated its Tizen-based Smart TV system again for 2016, making it arguably the best system on offer from the big four manufacturers. The system is very comprehensive and easy to use, whether you're browsing the Electronic Programme Guide (EPG), Catch-up TV, or one of the many apps available, including Netflix and Amazon Instant Video. New for 2016, the Smart TV system includes access to cloud gaming, giving you a console-like experience directly from your TV. The quad-core processor gives a fast response, and this really is a very comprehensive Smart TV system - especially for a budget television. The KU6000 has a solid set of connectivity options, including 3 HDMI ports, with ARC compatibility, 2 USBs, an optical audio output, a combined composite/component input, a CI+ 1.3 slot, and Anynet+ support. 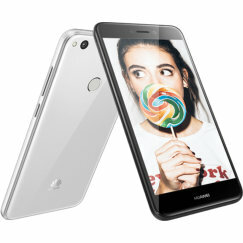 It also includes built-in Wi-Fi and ethernet, and supports smartphone screen mirroring. Conclusion - entry-level doesn't get better! Samsung's TV range for 2016 is on top form, and even at this entry point, it's managed to produce a UHD screen with excellent dynamic range and HDR compatibility, which is really very impressive. This is backed up by a superb Smart TV system and all-round capability, plus a very nice design. The only issues we identified were the slow motion response and the tight viewing angles. To improve on these, you'll need to move higher up the Series 6 range and spend a bit more money. 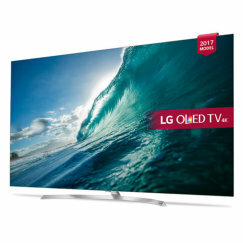 Priced at just over £500 at launch, we expect to see retailers aggressively undercutting each other as Christmas 2016 draws near, and the price of the 40-inch KU6000 could fall to £400, which would potentially make this a 5-star product as far as we're concerned. I only have coax cable will it olug straight in? Is it compatible with a Samsung UE40KU6000 soundbar? Does this have BBC I player app? A very sound purchase via a Black Friday sale. Was initially disappointed at the lack of SCART but, thankfully, the DVD Recorder/HDD I wanted to continue using had composite connections that were compatible with this TV. I am very pleased with the picture quality, even from a standard definition source. Just wanted to say you have a great site, and i have been looking for a website like this for years. Thanks for doing a review on this tv. I currently own one, which i am using for a PC monitor. I know there is an upcoming market where gamers are using 40 inch tvs as monitors, and seek reviews regarding input lag, refresh rates and what kinds of panels eg. IPS,PLS etc. Would be great if this website added the aforementioned topics into their reviews. I currently have a GTX 1080 PC connected to this tv, and can say the pictures look amazing. I have not noticed any ghosting, or motion juddering like mentioned in this review and input lag is non existent playing games such as BF4, Witcher 3 and World of Warships. Web Browsing is spot on too, reading websites does not strain the eyes and everything clear as day. I disagree with the sound that this tv makes. Its actually quite impressive, its by no means better than a discrete stereo system, however when playing games and watching movies, i got quite the boom from the inbuilt sub. Hi Michael! I don't know if you will ever see this but i'll ask anyway haha. 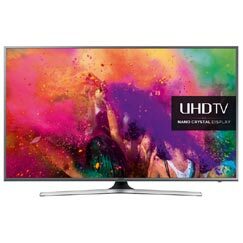 Do you know if this TV supports 1080p at 60hz 4:4:4 and 4k at 60hz 4:4:4? I want to use it as PC monitor too.